Schneider Children's is all about children. It utilizes a unique approach to pediatric medicine where children are treated as children and not as small adults. Since they have different emotional and physical resources for healing, Schneider Children’s utilizes a “whole-child-care” multidisciplinary approach, whereby treatment is integrated with emotional, psychological, educational and developmental care. 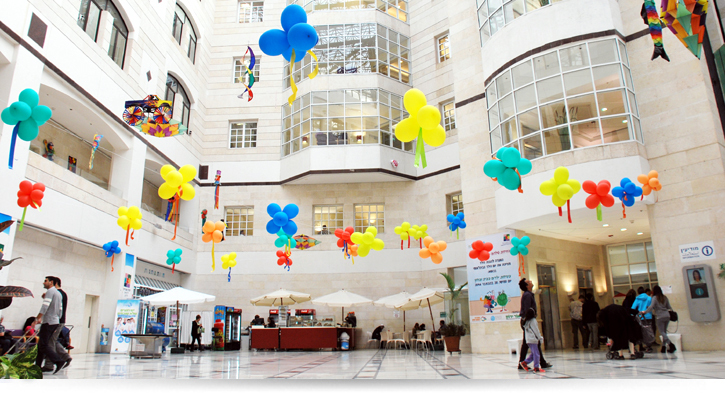 Schneider Children's is a member of Clalit Health Services - the largest HMO in Israel - and its only pediatric center of 14 hospitals. Through its affiliation with the Sackler School of Medicine at Tel Aviv University, every department conducts the teaching and training of doctors, medical students, nurses and paramedical personnel. Over half its physicians serve on Sackler’s medical faculty, while some 14% hold the title of professor. In creating a hospital exclusively for infants, children and adolescents, Schneider Children's responded to a real need and adopted world standards of hospital professionalism. But its true success lies in its pioneering spirit, the quality and dedication of its staff, and the devotion of its supporters and volunteers. All these have combined to create a winning combination between medical excellence and a special environment for children. This is the core of the medical center.